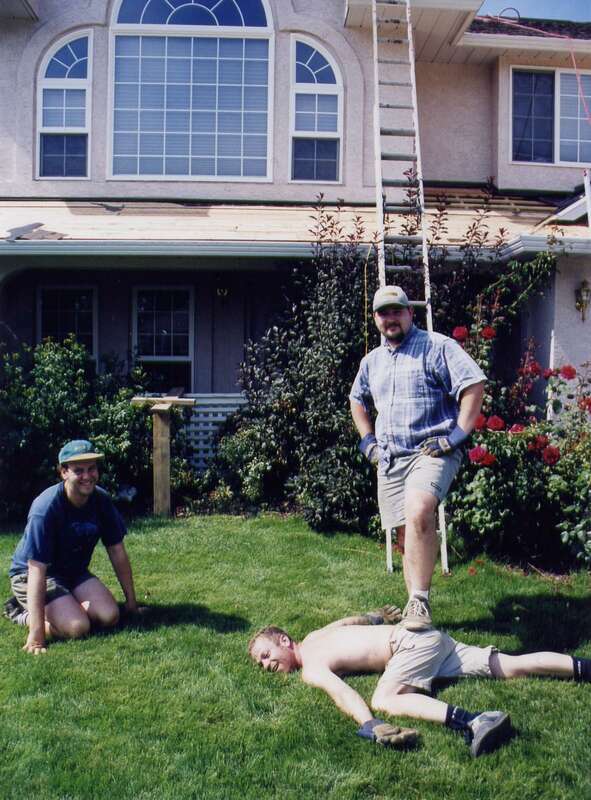 Unfortunately, I ended up hurting my back 6 days into the project while intalling the shingles at the top back of the house. 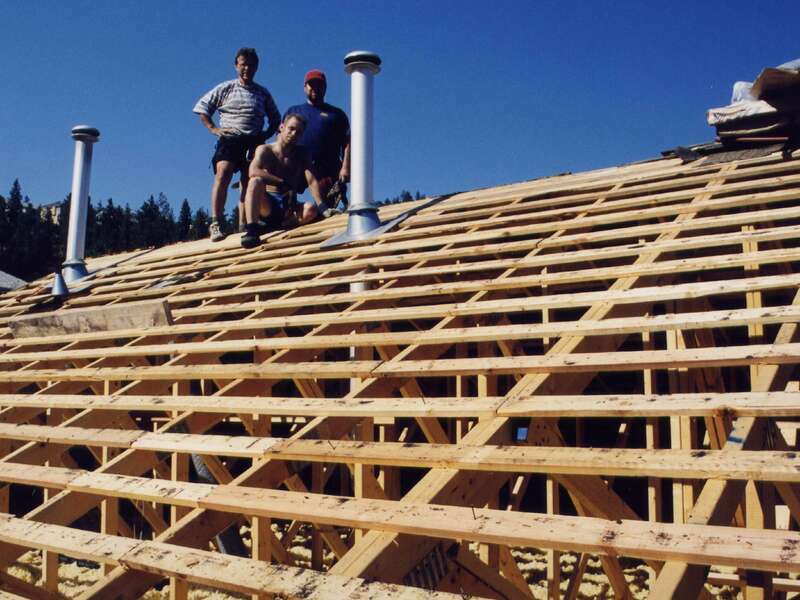 The rest of the roof was completed by my father, my brother Jean-François, Luc, Troy, Gaëtane, and my mom. 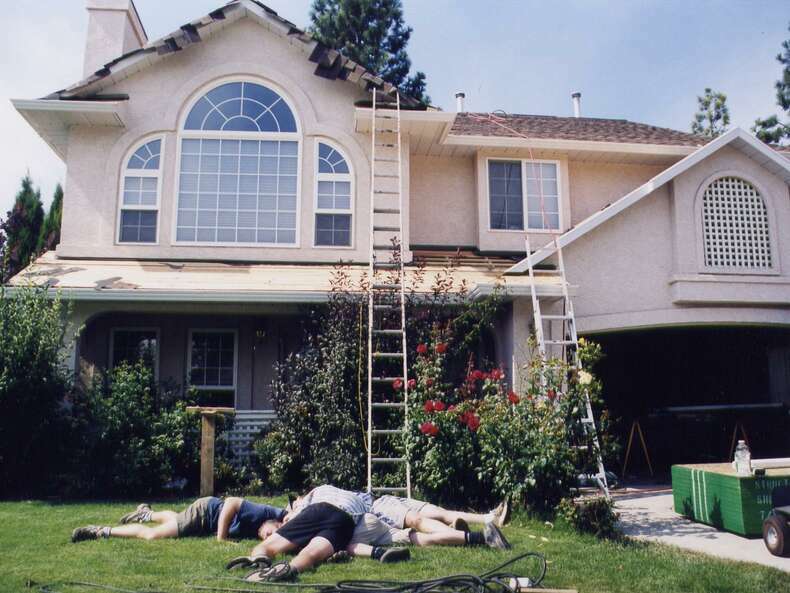 Since I couldn't lift anything heavy, I ended up helping with just small jobs for the rest of the week. 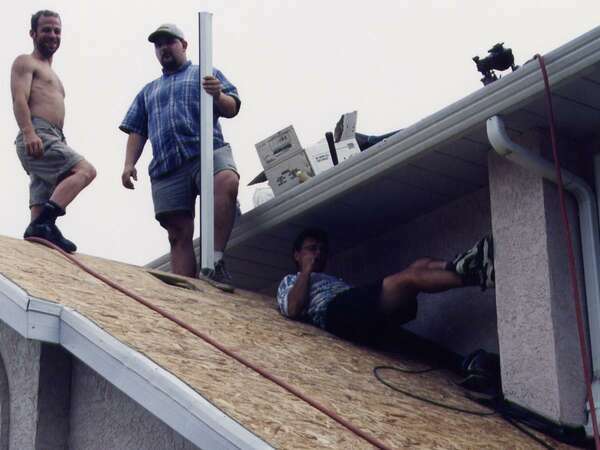 Note that the roof had no plywood -- only 1x2" slats. 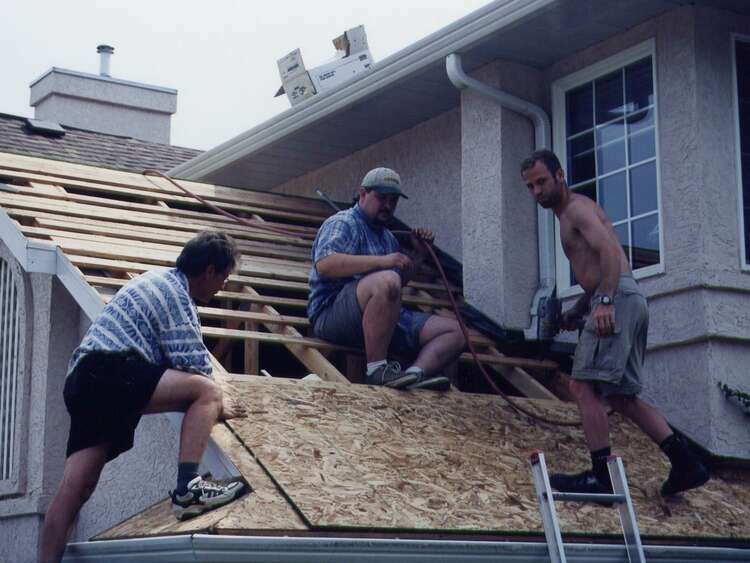 The first part of the job after removing the old pine shakes was to install 7/16" OSB over the entire roof. 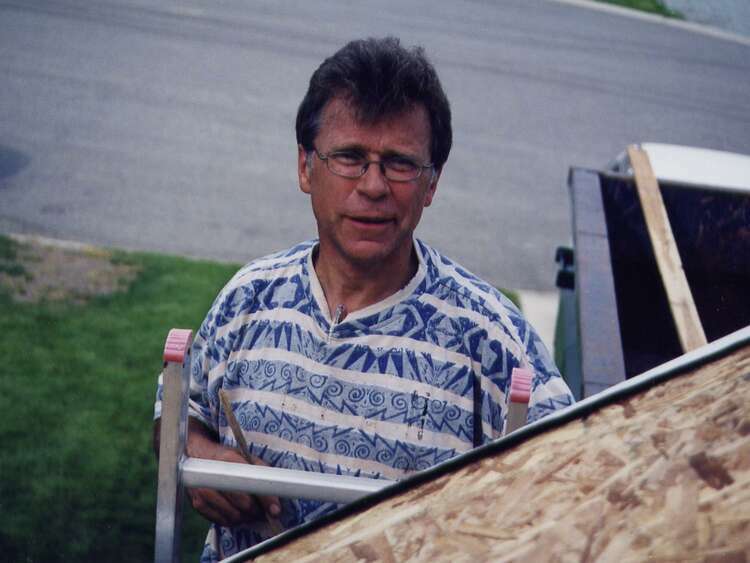 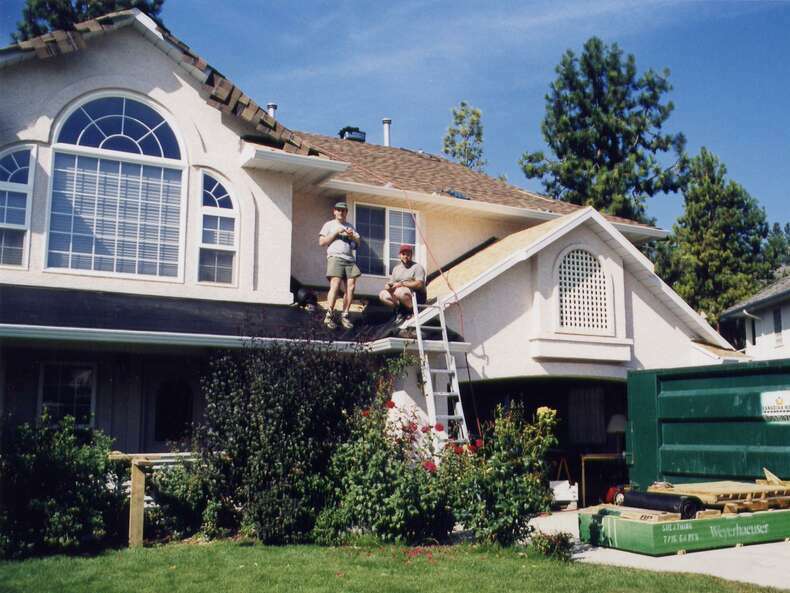 My favorite picture is the one of my father I took while he was working on the front of the house.